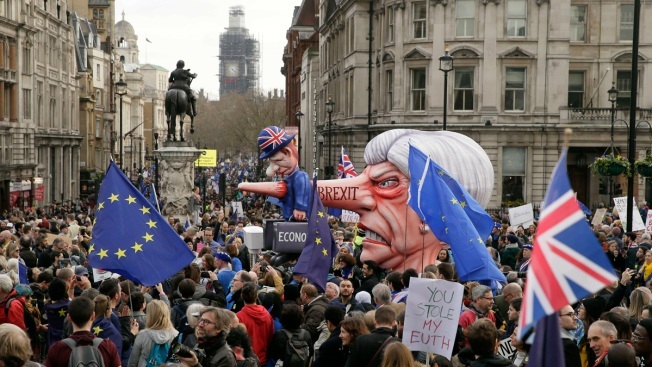 An effigy of British Prime Minister Theresa May is wheeled through Trafalgar Square during a Peoples Vote anti-Brexit march in London, Saturday, March 23, 2019. 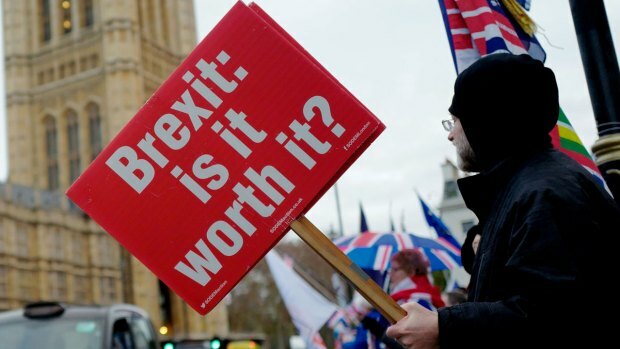 The march, organized by the People's Vote campaign is calling for a final vote on any proposed Brexit deal. 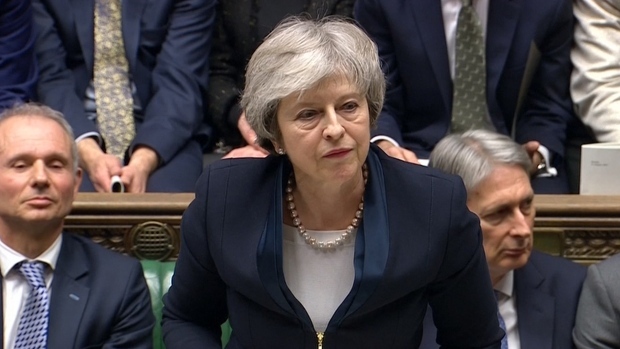 This week the EU has granted Britain's Prime Minister Theresa May a delay to the Brexit process. 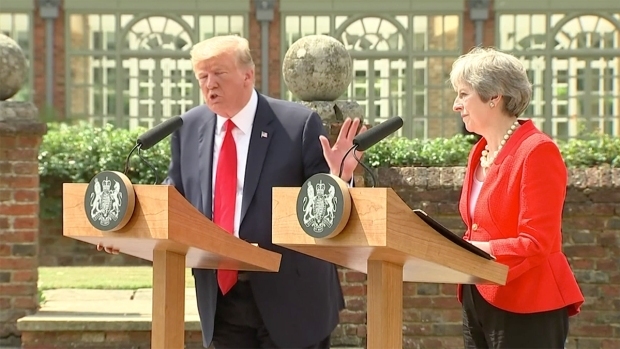 "I'm afraid it's all over for the PM. She's done her best. But across the country you can see the anger. Everyone feels betrayed. Government's gridlocked. Trust in democracy collapsing. This can't go on. We need a new PM who can reach out &amp; build some sort of coalition for a Plan B," he tweeted. Danica Kirka and Jill Lawless contributed to this report.